We cannot deny that the HTC Sense user interface is one of the few that we actually enjoy using. That is why we were excited to peek on the latest Sense 3.0 version running on the recently announced HTC Sensation. Unfortunately, it was later made clear that only the latest HTC smart devices – the Sensation, the Flyer, and the EVO 3D, will get the manufacturer's custom UI as previous ones simply would not have enough power to support it. 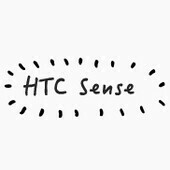 However, HTC just announced through its Twitter account that it is already working on incorporating some Sense 3.0 elements into other recent smartphones as well. That is pretty much all that we know so far. Which devices will be treated to a facelift and when will this happen exactly remains a mystery. Which Sense 3.0 aspects will make it to other devices remains unclear as well, but rest assured that we will let you know as soon as we find out. i don't think the Aria's 'sense' will be updated....it has a weak processor at 600 Mhz and the GPU is also nothing spectacular....Sense 2.1 is a possibility but leave Sense 3.0 out of the question!! im thinking that it will only port to the newer HTC phones (Thunderbolt, Evo Shift 4G, Inspire 4G, etc.) Only seems logical to me. The Aria? No. The farthest reach i could see is the Incredible. But thats a big reach. I read online HTC Sense 3.0 will not be upgradeable on the HTC Incredible 2 for Verizon. Does anyone if there are any phones, and which ones coming to Verizon soon that will HTC Sense 3.0 or that will be upgradeable to it? It doesn't make sense to pay as much as phone costs these days and pay for a phone that isn't upgradeable to the latest OS, and to get stuck with that phone with old OS for the next 2 years. htc sense is not an OS.